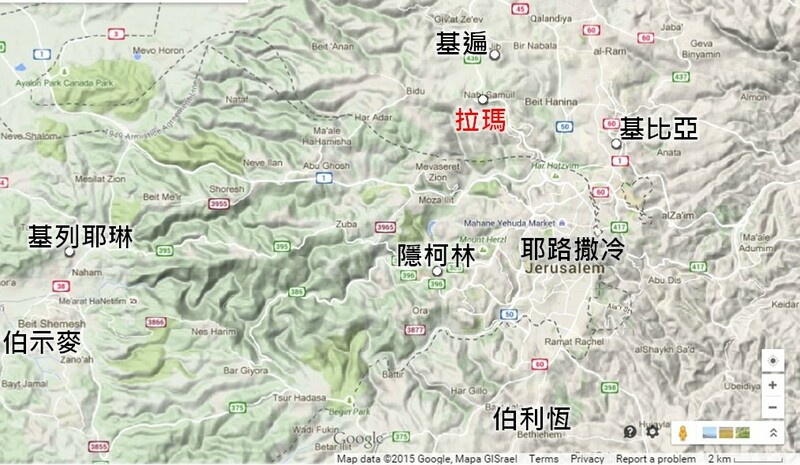 註：取材自Hillel Gave, Archaeological Sites in Israel, No. 7 (Jerusalem: IsraelInformationCenter, 2001), PP. 30-34；Rivka Gonen, Biblical Holy Places: An Illustrated Guide (Israel: Palphot Ltd., 1987), PP. 210-211, 215；George A. Turner, Historical Geography of the Holy Land (Grand Rapids, MI: Baker Book House, 1973), PP. 229-232.